The markets in the Northern Vietnam are always the colorful meeting places for the hill tribes of Vietnam. Minority people come down from the mountains to sell their products, or just for catching up on the latest news or gossip. The package is a combination of a stay at Topas Ecolodge, where you can explore the pure nature, peace and unique views over the mountains, with an unforgettable experience of encountering the various tribes in their colorful traditional dress, enjoying the fresh smell of exotic herbs and spices, sharing the abundant rice wine and purchasing some local souvenir products in their food stalls. Our tour guide will pick you up at your hotel in Hanoi and transfer to the railway station for the night train to Lao Cai. Overnight on Sapaly Express Train – Wooden deluxe soft sleeper cabin with 2 berths. The train arrives at Lao Cai Station, local guide picks up and transfer to have breakfast at local restaurant in Lao Cai. Departure for a visit to local market of ethnic minorities (depending on the day). In the afternoon, transfer to Victoria Sapa, check in to your Room and enjoy the view of the valley and dotted mountain surroundings. Overnight at Topas Eco Lodge. The morning is at your leisure at Topas Eco Lodge. 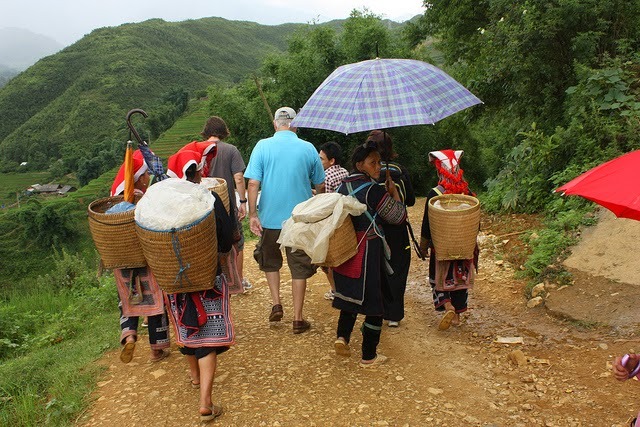 10.00AM, pick up and drive to Sapa for lunch before enjoy a short journey of 20 minutes by car to Muong Hoa valley. Descending into the valley by foot you will see the largest terraced rice paddy in the Sapa area. 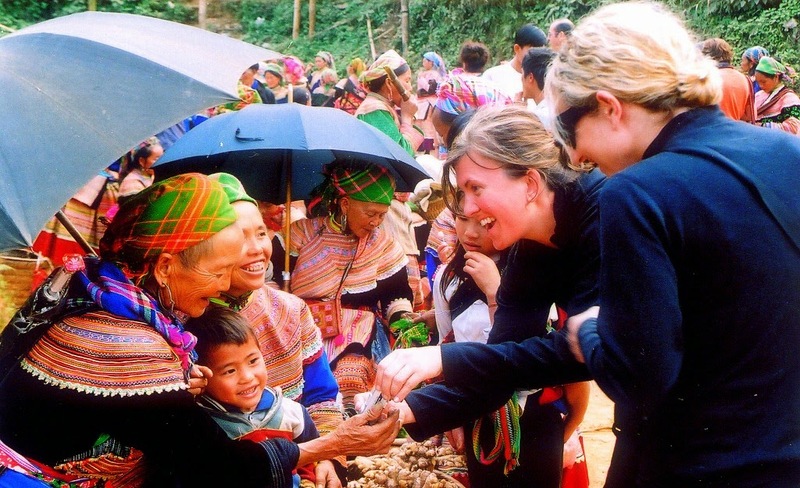 The walk takes you from Lao Chai village of the Black H’mong minority to Ta Van village of the Day minority, providing the opportunity to see the different traditions and costumes of the two ethnic minority groups. At the end of the day, transfer to Lao Cai by car, having dinner before boarding the train. The train will arrive in Hanoi around 4h30 am. End of trip. Note: It is possible to change the market day to day 3 if there is no market on day 2. All entrance fees to the indicated places. Please take your passport to check in hotel. All customers must obey the order of your tour guide for your safety.